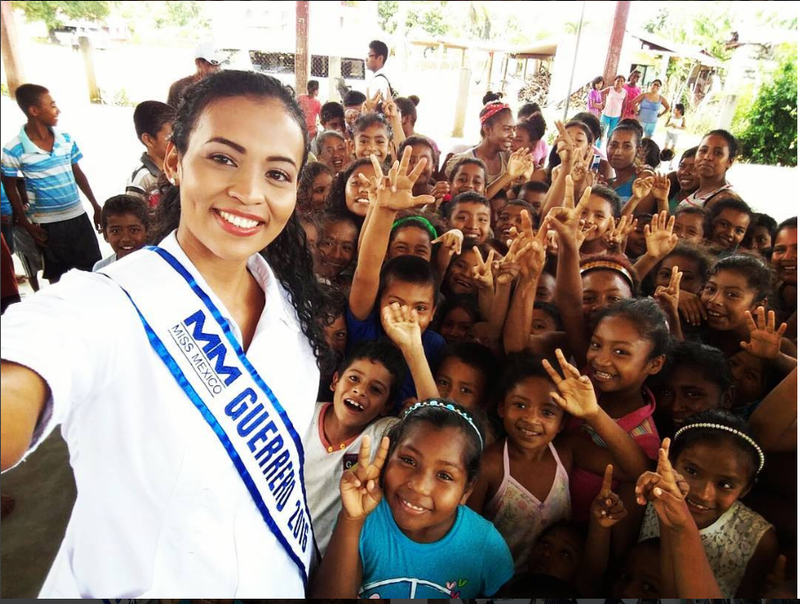 Samantha Leyva, a 23-year-old beauty queen from Mexico’s southern state of Guerrero, is breaking the mold. She’s a black activist and community organizer who supports Black Lives Matter and is challenging Mexican racism. “I have been representing the afro-descendant community of my home state with lots of pride,” she told me during phone interview. Leyva, who was born in the tourist resort town of Acapulco, won third place in this year’s Miss Mexico Pageant last month. But the convincing the pageant judges was easy compared to winning support in the court of public opinion, which in some cases has reacted with racist and nasty comments on social media. Read the full story on Fusion in English or español. Fascinating! Not what I expected with my preconceptions about beauty queens.